The one-off PlayStation Access event includes a developer session by Uncharted creator Naughty Dog, followed by hands-on time with Uncharted 3. The gathering takes place in London this Saturday from 3-6pm. Entrance is free and you don't need to register. Just head to the The Pelican Bar (aka The Union) at 50 Greek Street, W1D 4EQ. 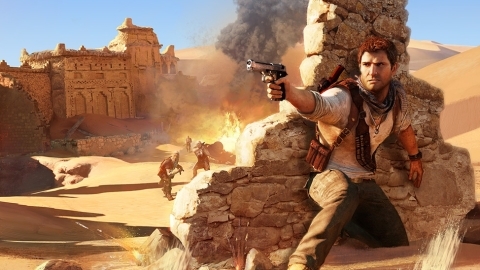 Gamers will be able to put questions directly to Uncharted 3's developers and watch a live walkthrough of the game's Desert Village scene - first premiered as a world exclusive at Eurogamer Expo 2011.